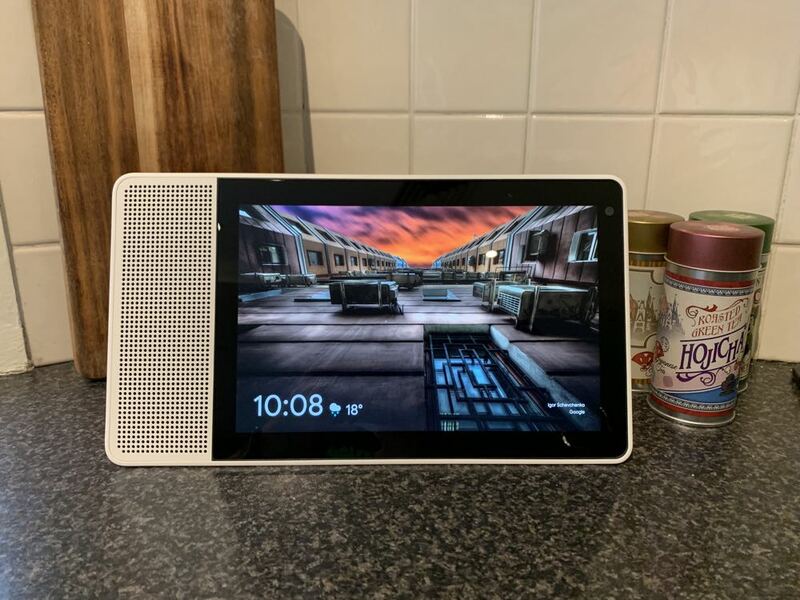 The Lenovo Smart Display is one of the best all-round smart packages on the market with a stunning screen and excellent sound. 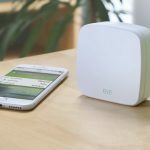 It can easily find a place in your home. 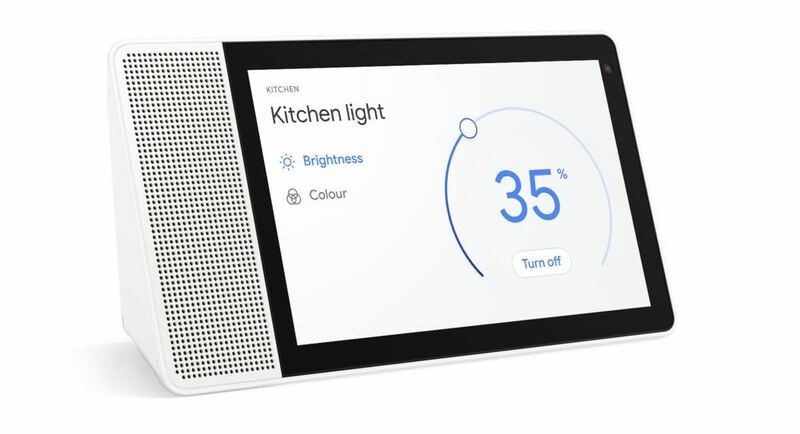 Lenovo’s Smart Display is the latest smart speaker to include a screen and also one of the better devices in its class that can provide a great all round experience in your home. 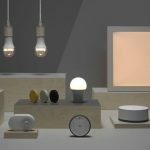 The device is available in two sizes – 8-inch and 10-inch – with a speaker placed beside the touchscreen display. 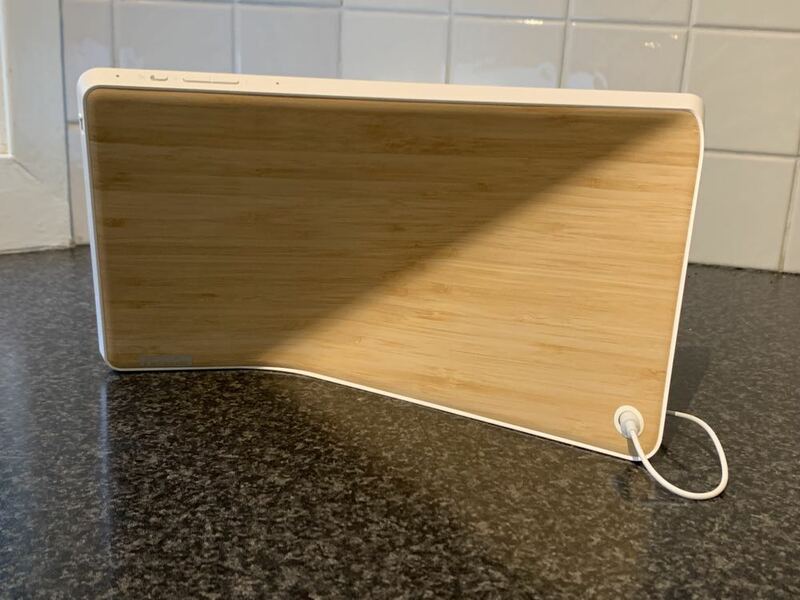 For our review, we took a look at the 10-inch Lenovo Smart Display which has a beautiful bamboo pattern on the exquisitely shaped rear panel. The 8-inch model comes a grey soft touch backing. 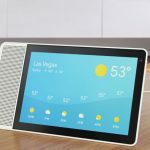 With Google Assistant on board, the Lenovo Smart Display adds a lot more convenience because it combines the smarts of the speaker with a screen to give you visual feedback as well. This comes in handy whether you are trying a new recipe, watching YouTube videos, finding information, looking at your calendar or making a video call through the built-in camera. 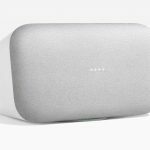 Set up is super simple through the Google Home app. We were up and running within minutes. 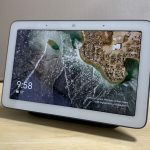 Design-wise, the Lenovo Smart Display has a larger footprint than other similar products so you’ll need some room to position it especially if you’re going for the 10-inch model. The device is designed to rest with the screen in landscape mode with the speaker down the left side. Users can also place it on its end and radically reduce the product’s footprint. 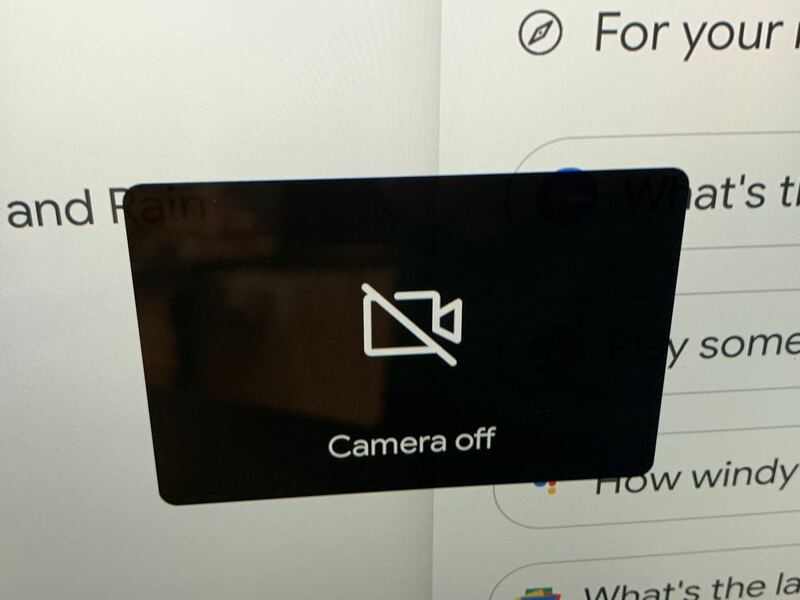 But you can only make video calls in this orientation. Unlike a smartphone, the Lenovo Smart Display doesn’t adjust when you move from landscape to portrait mode. Lenovo Smart Display can be used in any room of your home and provide you with all the information you need to know. Of course, it can also control and access your smart devices. Having a display now makes it possible to view your security cameras just by asking for them. 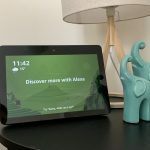 For example, you could ask to see the front door, the back deck and even the baby’s room with Google Assistant putting the right feed up on the screen. 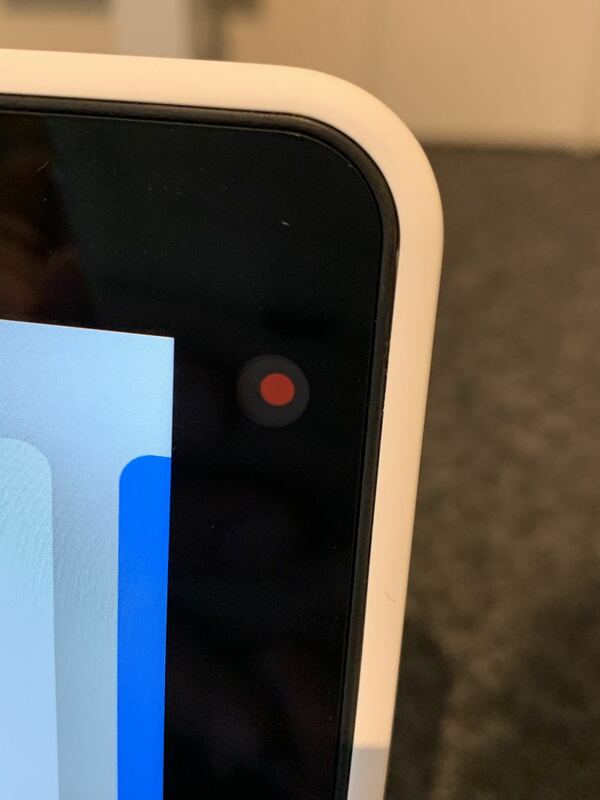 And with the video calls, you can use Google Duo to connect with loved ones. Lenovo has added a privacy shutter so you can cover the camera lens when not in use. This provides a bit of peace of mind for users who may be worried the camera may be hacked, especially if it is placed in the bedroom. One of the strengths of the Lenovo Smart Display is as a music player thanks to the powerful built-in 10W full-range speaker. It’s one of the best sounding smart speakers we’ve heard. There’s a dual passive radiator which really enhances the bass response and makes your music sounds surprisingly good. 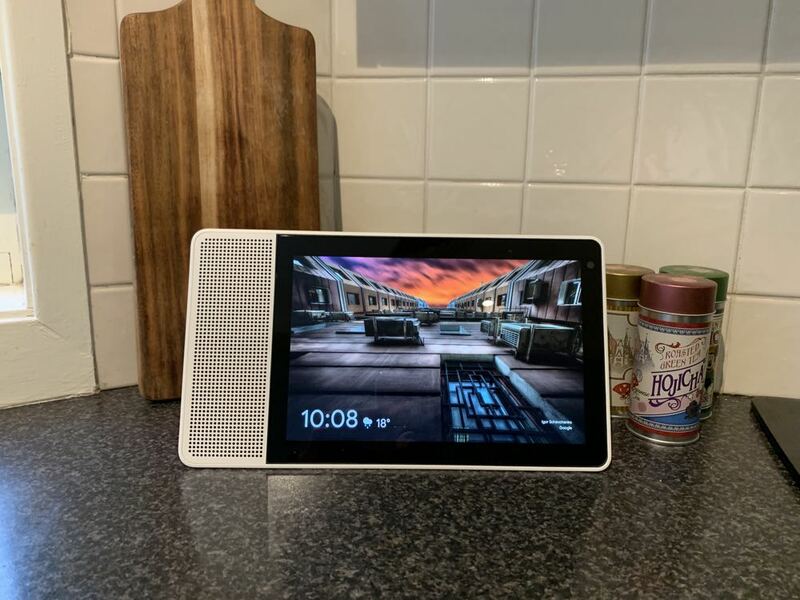 The Lenovo Smart Display is one of those products that you can grow closer to over time as you discover new features and capabilities as it is integrated into your daily life. 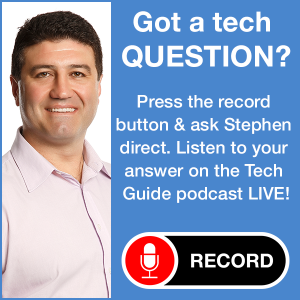 It is available now from Harvey Norman, JB Hi-Fi, Officeworks and the Lenovo website. 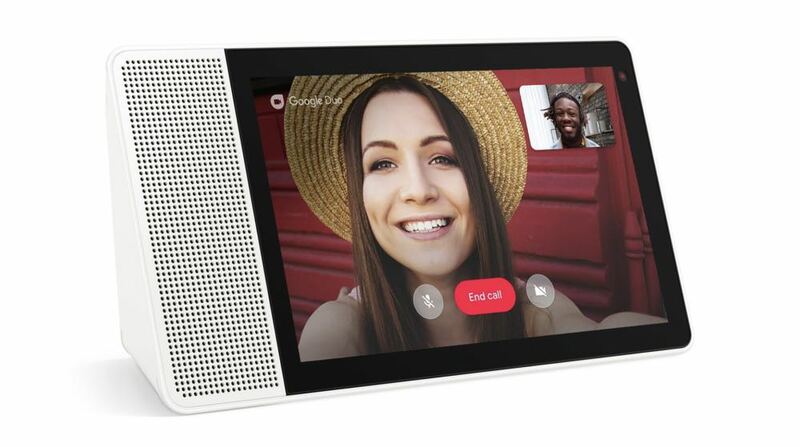 The Lenovo Smart Display is priced at $299 (8-inch, grey) and $399 (10-inch, bamboo).